To change the alignment and orientation of the labels on the selected axis, click the Size & Properties button under Axis Options on the Format Axis task pane.... 13/02/2018 · Re: How to change the label angle on the axis Giacomo Vannucchi Feb 13, 2018 2:55 AM ( in response to KK Molugu ) Being able to adjust a label angle is a perfectly reasonable feature request and it is not at all "typically Excel". To change the alignment and orientation of the labels on the selected axis, click the Size & Properties button under Axis Options on the Format Axis task pane.... To change the alignment and orientation of the labels on the selected axis, click the Size & Properties button under Axis Options on the Format Axis task pane. To change the alignment and orientation of the labels on the selected axis, click the Size & Properties button under Axis Options on the Format Axis task pane. how to buy audiobooks on android To make this change, format the axis and go to the Number area, then apply a number format with commas for thousands, and no decimal places. Finally, I'll select the chart, and bump up the font size. This affects all text labels at the same time. To make this change, format the axis and go to the Number area, then apply a number format with commas for thousands, and no decimal places. Finally, I'll select the chart, and bump up the font size. This affects all text labels at the same time. 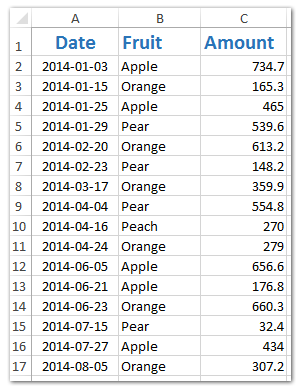 how to create vlookup table in excel 2007 To make this change, format the axis and go to the Number area, then apply a number format with commas for thousands, and no decimal places. Finally, I'll select the chart, and bump up the font size. This affects all text labels at the same time. To make this change, format the axis and go to the Number area, then apply a number format with commas for thousands, and no decimal places. Finally, I'll select the chart, and bump up the font size. This affects all text labels at the same time. 13/02/2018 · Re: How to change the label angle on the axis Giacomo Vannucchi Feb 13, 2018 2:55 AM ( in response to KK Molugu ) Being able to adjust a label angle is a perfectly reasonable feature request and it is not at all "typically Excel".